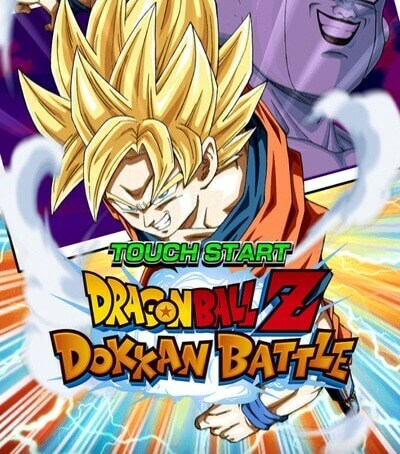 DBZ: Dokkan Battle combines fast-paced fighting with bubble-matching gameplay elements. It also has a fun board game concept called “Adventure Stage”. Players can explore an area, collect special items and stumble upon deadly villains. Each stage has a boss level. Defeating main villains will grant you extra rewards. Max level is the maximum level a character can reach. Once a character reaches its highest level, you can “Awaken” him using awakening medals. Awakening a character gives a huge stats boost and his max level cap also increases. Purple capsules contain medals and they can be seen scattered around the game board. Lower “max level” characters can quickly reach their highest level if you train those using Training Items and unwanted characters like Saibamen. Also, fight more opponents to level them up quickly. For example: In my team, my leader character has a max level of 60. Piccolo has a max level of 40. But I will choose to train those characters whose max level is 20. Later I can use medals to awaken one of them once they reach their highest level. One of my lower max level characters quickly reached to level 20 after completing quests and training them using partners and items. I kept an eye on red capsules (they contain training items) on the game board and collected them whenever I got an opportunity and fought as many opponents on the game board as possible. Make sure that you have at least one character as “training partner” when you train your hero. If you have items and no training partner, you won’t be able to level him up. Your character can unleash 100 percent attack once the first few bars in his/her attack power meter fills up. A character’s attack power meter is a circular meter shown on his profile pic on the battle screen. Collect Ki spheres to fill up the attack power meter quickly. Some characters reach 100 percent attack pretty quick as it requires only a few bars to fill up. You just need to collect 3 or 4 spheres to fill up their “100 percent” attack bars. To know when a character unleashes 100 percent attack, just go to Team > Character List and tap on a character’s profile pic. Press the arrow to expand his profile and you will find his attack bar mapping 100 percent attack and super attack. Choose characters who can reach full attack quickly. This can be done by selecting those whose attack power meter requires only a few bars to fill up to reach “100 percent attack”. From the list, choose a higher level friendly character who gives max friend points. If you can’t find one, select the one that gives more FPs than the other. If all have the same number of friend points, then choose the highest level character from the list. You may come across a series of tiles with Zeni and capsules. Choose the one that you need the most. I always go for capsules first and then for coins. You will get plenty of coins as battle and daily rewards, but capsules, especially the purple ones, are rare. Many times, your path will branch into two paths. Choose the path having more rewards than the other. I usually look for a path that has purple/red/blue capsules or Zeni. Make sure you zoom out before tapping on a randomized number. Pinch to zoom out to get a clear view of the board. Before tapping on a Ki sphere and launching an attack, you can check its path. Just tap and hold a sphere. If you don’t find the path destructive, just slide your finger down and release to cancel. Your character won’t choose that attack path. Tapping and holding a sphere also reveals Burst bubbles. In several battles, you will come across more than one enemy. Their portraits will be shown at the top of the battle screen. Note down their type and choose the one whose type is weaker than your character’s type. 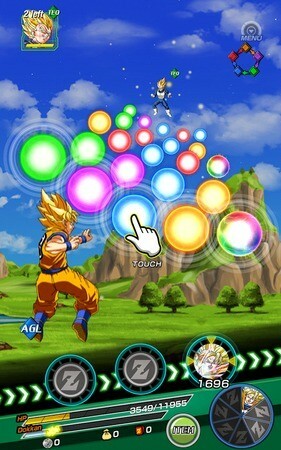 Remember: In DBZ: Dokkan Battle, the more Ki spheres you collect, the quicker your character’s attack power meter fills up. The attack power meter is the circle behind a character’s portrait on the battle screen. Your first priority should be to choose a longer route of Ki spheres. If you don’t find any, then tap on a sphere that has the same color as your character type. 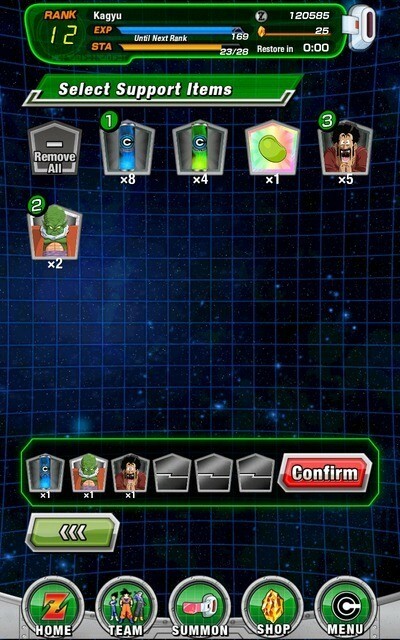 This will grant 2X the Ki you normally receive. Rainbow spheres can connect with any color, so don’t ignore them. Make sure you tap on a rainbow sphere that connects one, two or more same-colored spheres. Better option, try to tap on a rainbow sphere that connects with a Ki sphere whose color is the same as your character’s type to inflict maximum damage to enemies. Capsules, training tiles, Zeni and minions will be scattered around the board. Choose the randomized number wisely. The game board will show a number above some tiles, so you don’t have to count the number of tiles that lead to your desirable space. Avoid red tiles with crosshair marks at any cost and tap on a number that will make your peg move past them or stop on a previous tile. Tiles with a question mark above them may or may not give a reward. Sometimes they hide red tiles that may deplete HP. But you may never know, these question mark tiles may also contain rare purple capsules. Don’t forget to land on the “Baba” tile. This fortune teller can give a random support or training item, but at a cost. You get them by paying Zeni. You may choose to avoid some minions but you can’t escape tiles marked with a “Stop” sign. You must fight a villain. In fact, I would suggest fighting every villain on the board if you have a strong lineup of characters as it will help you level them up faster and get more rewards. Flaming Z characters on blue tiles increases a random character’s Ki and fills up his attack power meter. 1. Go to Team > Character List. The character list contains characters you have acquired via friend point summon/dragon stone summon/quests. 2. Tap on a character and press the Up arrow button below to expand his/her profile. 3. Under “Link Skill” tap on “Details” besides each attack option and note down the linkable characters required to activate the skill. 4. Do this for each character. Go to Team Formation, choose a new deck and add only those characters that link to each other. 5. When the battle starts, drag and drop a character next to a linkable character to activate link skills. Many times, there will be a filler (probably some random Saibamen) to break that link so you will need to shift positions to activate link skill. If you confront more than one villain, just choose to attack an enemy of your choice by tapping on his portrait on the battle screen. Make sure the chosen enemy’s type is weaker than your current character, else switch to someone else whose type is different or is the same as yours. You receive support items by collecting blue capsules on the game board. Support items help your team recover HP, reduce opponent’s DEF and change the color of Ki spheres. As you progress, you will come across several new items that can help you win battles. Before pressing the red “Start” button, tap on the empty slot under “Support Item”. Long press an item to know its benefits and then tap on it if you find it useful in current battle. You cannot add the same item to the next slot. All items should be unique. The FPs you collect can be used to recruit common characters. Go to “Summon” and press the down arrow button to access “Friend Point Summon”. You will see a number on top of “Single” and Multi-Summon.” Well, these are the number of times you can recruit a new character from the total friend points you have accumulated. 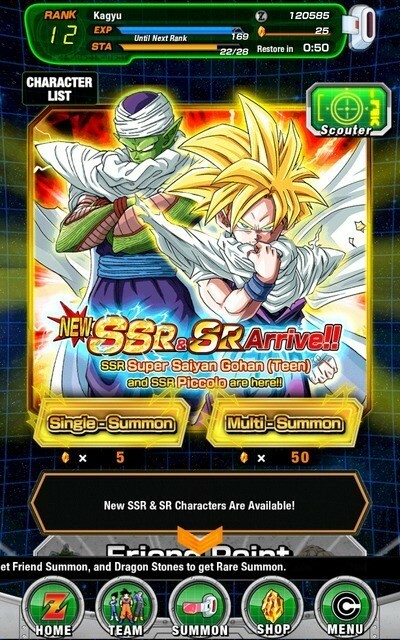 You may wait until you reach the 2000 FP mark and then go for “Multi-Summon”. However, using dragon stones can let you summon uncommon DBZ: Dokkan Battle characters. You will need at least 5 dragon stones to summon a character. You receive dragon stones as daily rewards and as first-clear bonus rewards. Complete a quest and beat the boss in the first attempt to get a first clear bonus reward.